...make a snowman. That's what our G-Man did during our snow-extended stay in Leadville. 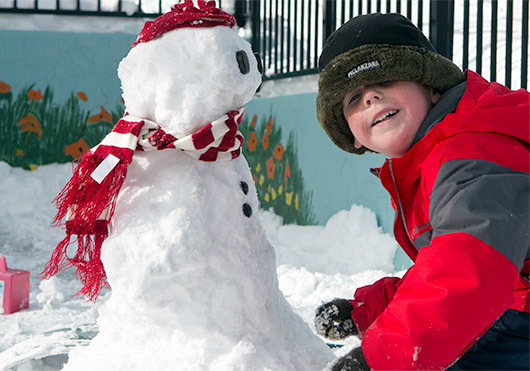 Special thanks go to Auntie Laura for furnishing the great snowman-decorating kit! 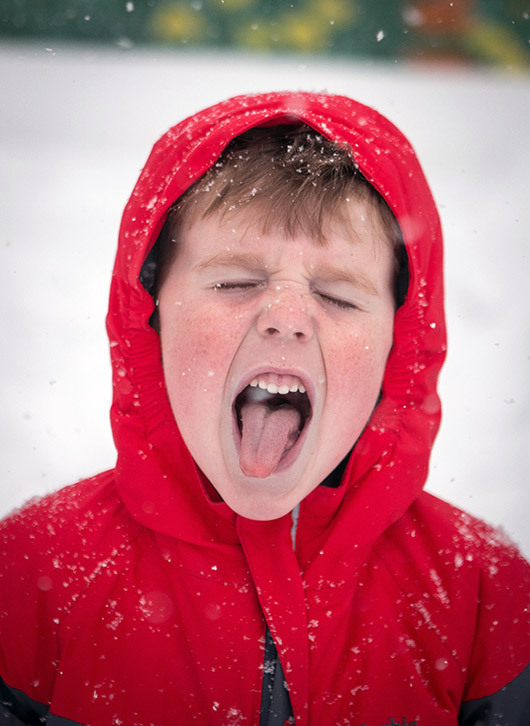 I'm just a tad surprised that the boys didn't fashion a gory snow-scene after enjoying similar ones in Calvin & Hobbes. 😛 Here's a handful of pics. Amidst our snowy explorations on Thursday, Margot & I took Henry out for a restorative donut. While chowing down he noticed a lady shoveling out front. Luckily I caught his expression of bonkers delight the moment I suggested that he could join her. (Here's the tiny gallery.) Back on went the boots & out he went. I told the owner that like Tom Sawyer's friends whitewashing his fence, Henry would likely pay her for the chore privilege! As it happens the bakery sits adjacent to the town newspaper, and upon hearing our story (San Jose Shorty Slings Snow? ), the editor said that she might find a way to feature Henry in print. Stay tuned for the late edition! This year for spring break we traveled back to our favorite mountain town, Leadville, Colorado. We've spent the week up here enjoying time with my folks in the high mountain air. The first couple of days were sunny, summery, and dry as a bone—spent in shirtsleeves at the park, tossing rocks into the river, and galavanting around town. The boys, especially Henry, were a bit bummed that the snow tubing and skiing opportunities were slim: it's late in the season, many of the resorts are closed, and the only snow left was in shadowy, unmelted, crunchy drifts. They still managed to goof around in the snow and even get a little tubing in on the hill across town. Then, much to our delight, Leadville got smacked with an enormous spring blizzard that started yesterday and has carried through today. We've gotten at least 18 inches of snow so far, and it's still coming down. The boys, to put it mildly, are thrilled to see all that snow! Here's a gallery of our snowbound antics. We were actually supposed to leave for California today, but the interstate between here and Denver was closed, and driving conditions were so bad we decided against even trying to drive down the mountains. We'll be here another full day so the boys can get their fill of powdery good times. At noon yesterday we were in shirtsleeves, happily tossing rocks into Arkansas River rapids. This morning we’re in a whiteout, pulling on boots before more sledding. What a great trip! 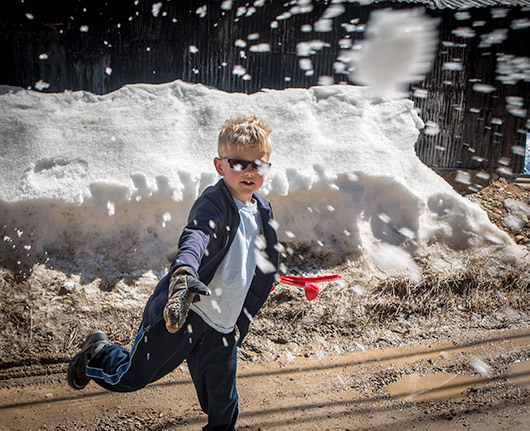 We arrived in Leadville yesterday to find amazingly warm weather yet enough patches of snow to keep the guys constantly entertained. In this gallery you can see them drawing with Grandma, firing snowballs at me & Grandpa, enjoying some root beer floats, and horsing around in rusty old mining equipment ("I didn't get lockjaw!!" declares Henry with great pride 🙂 ). The boys are raring to go visit the fam in Colorado next week. In anticipation of that, here’s Skiier Hen hitting the slopes two (!!) years ago (man, can it have been that long already?). 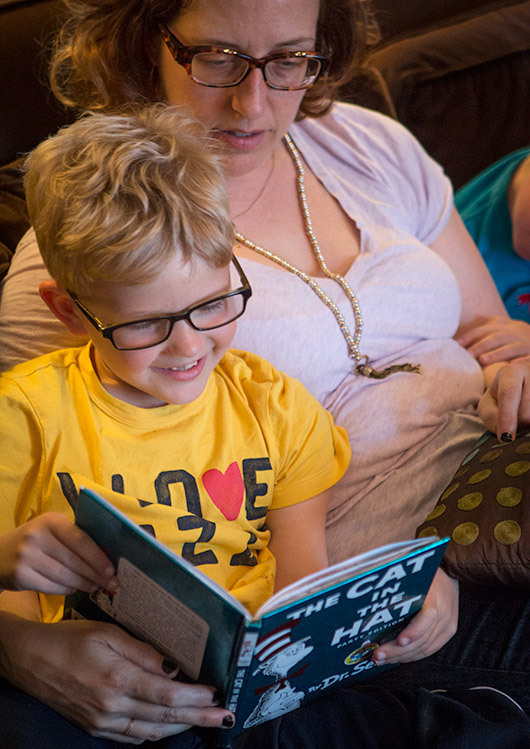 Finn's been reading up a storm lately, and the other day I heard him, Margot, and Henry cackling as he blazed through an out-loud reading of The Cat In The Hat. Naturally as soon as I tried to take a video he clammed up & they boys started clowning around, but I was able to capture a few shots of the proceedings.